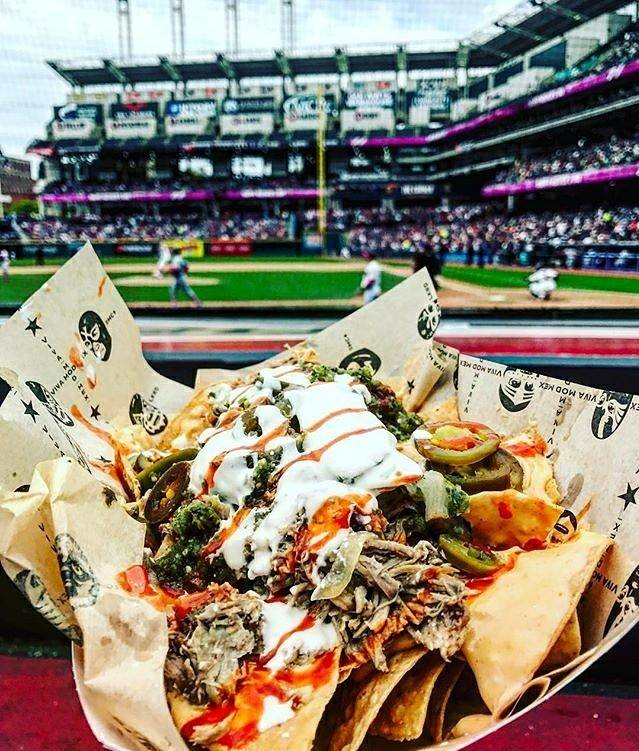 Best of: Ohio's Ballpark Food - Ohio. Find It Here. 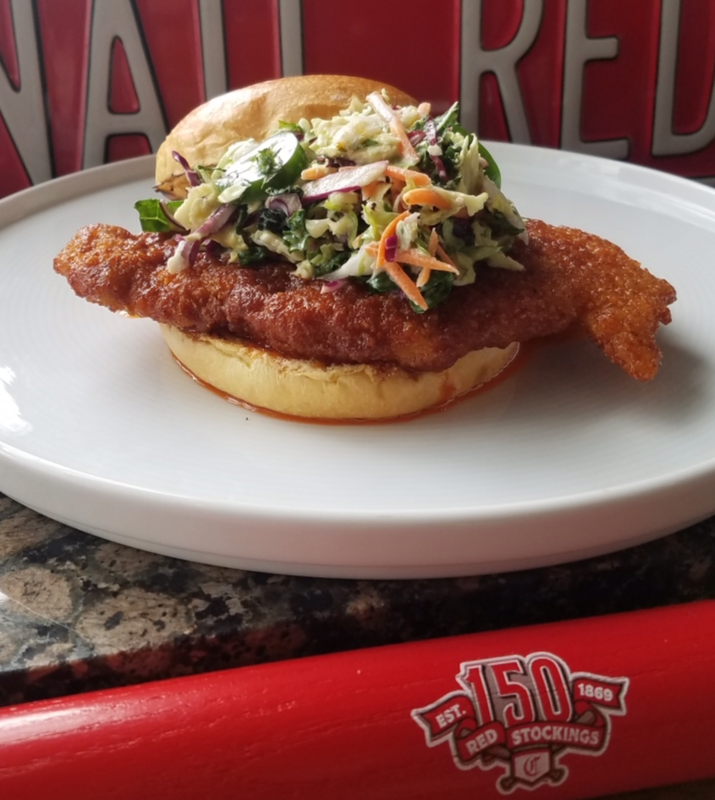 If you’re heading to a game this year, get ready for more than traditional fare. Ohio’s ballparks are kicking it up a notch. Forget about same-old game-day grub – not that there’s anything wrong with popcorn, hot dogs, soft pretzels, cotton candy and nachos with cheese and jalapenos – but there’s more. So. Much. More. This is burger-plus-plus-plus. 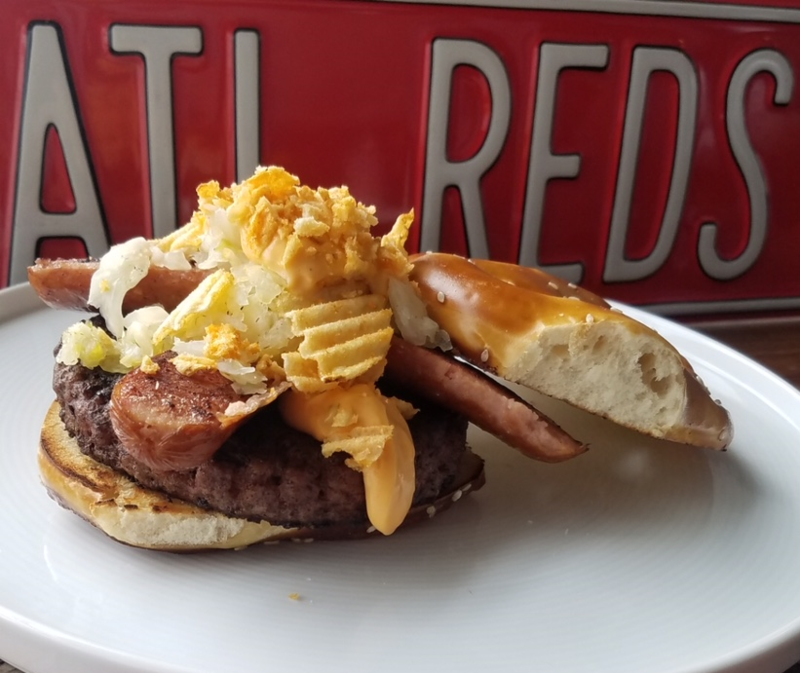 Bite into a big burger topped with a Big Red Smokey, sauerkraut, a special beer cheese and the Queen City’s own Grippo’s potato chips. All contained eloquently – or maybe not-so-eloquently – depending on your game-day manners, by a fresh-baked Servati’s pretzel bun. Ballpark food revolutionized, the buffet way. 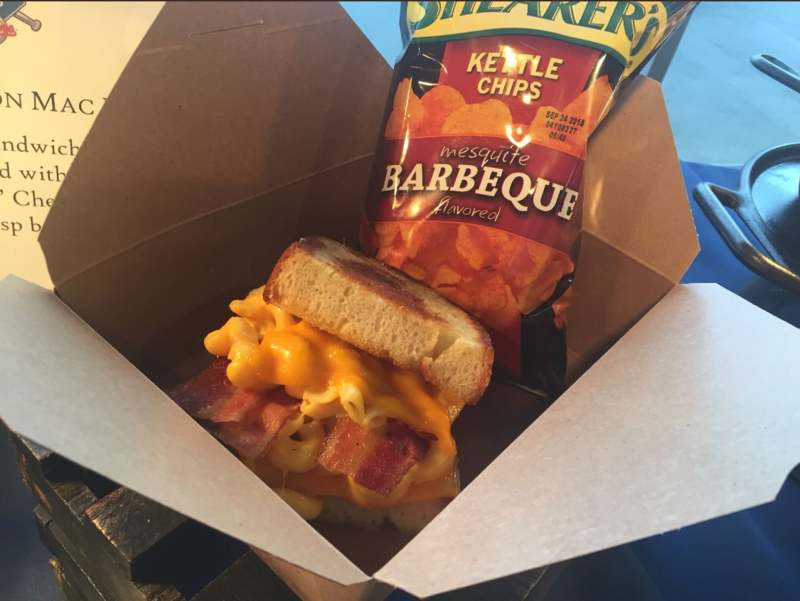 And the Mudhens got it – breads, biscuits, pork loins, cheese coneys, salads, pasta, chicken and desserts, of course. The menu changes throughout the season, but the experience is always a homerun. Double-layered 14-inch quesadillas and fresh cooked tortilla chip nachos, prepared to order? In a ballpark? You bet. Momocho offers up braised meats and other goodies right in front of customers, nothing frozen or bagged. Momocho was voted best stadium food in the nation by USA Today in 2017. This is not your grandma’s grilled cheese. Discover grilled cheeses and melts for every palate, like the Cheesy Bacon Mac topped with thick slices of freshly grilled bread stuffed with mac-n-cheese, crisp bacon and American cheese with a side of crunchy kettle-cooked chips, or the Mushroom Melt – more big grilled bread with garlic sautéed mushrooms, caramel port onions, fresh spinach, provolone cheese and kettle-cooked chips. It’s melt-in-your-mouth goodness. 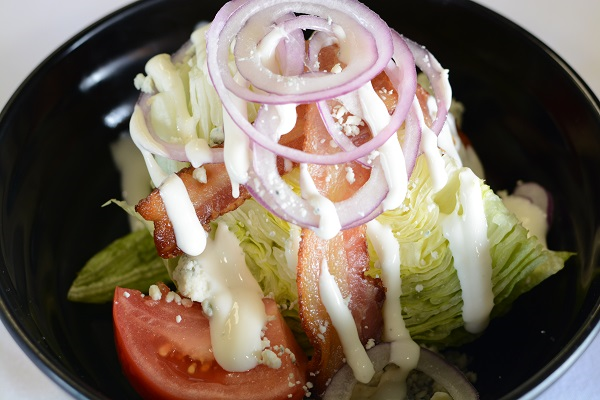 Look for green at Huntington Park this year with an iceberg wedge salad. The quarter-head slab of crunchy greenness is topped with whole bacon slices, tomatoes, onions, blue cheese crumbles and dressing. Don’t forget about an old favorite made new again – tater tots. 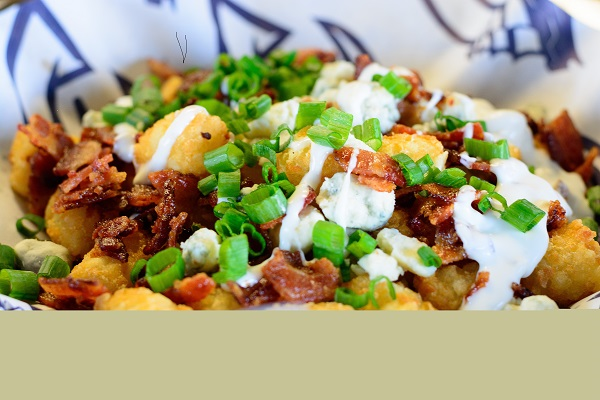 A heaping pile of fried potatoes, loaded with fresh-cut scallions, sizzling bacon, cheese crumbles and a zesty dressing. You might want a few extra napkins while you’re at it. 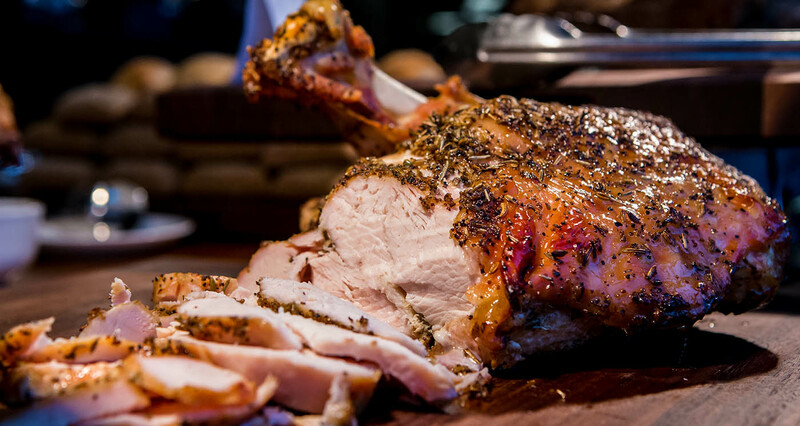 This season in Ohio, enjoy the game – but mostly the foods! For more adventure and foodie fun, Find It Here. at Ohio.org.